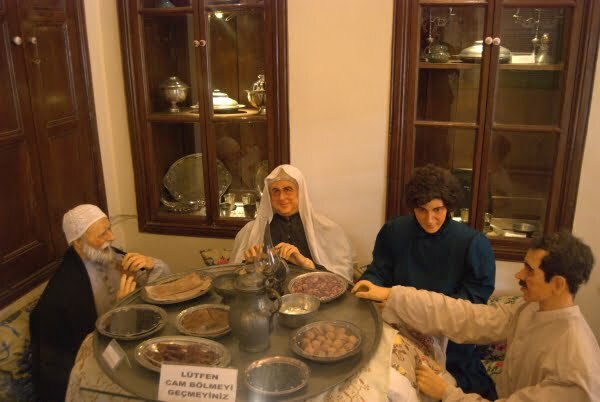 The Gaziantep Culinary Museum is set in an old house down a cobbled side street. I entered a small courtyard and looked around at the two storey building. First impressions were not to expect too much yet it was the most comprehensive museum I have ever visited. Perhaps it was so interesting because of my lack of cooking skills and knowledge of Turkish food. Without any doubt, I differ so much from a Gaziantep woman. I have always struggled to adapt to Turkish cuisine; the taste and variety of dishes have never suited my palette or ideal food choice. 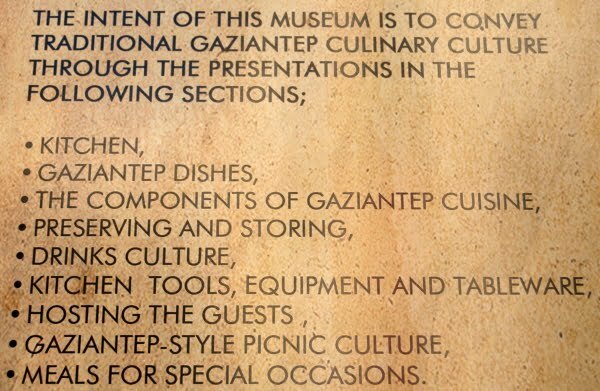 Gaziantep has many museums. Some are boring and others are interesting but none sparked my curiosity as much as the culinary museum. Whoever set it up, really appreciated food and they are not just aiming to educate Turks either. All signs are in English despite a lack of foreign tourists to the area. The building used to belong to Ali Ihsan Gögüs, the first tourism minister of Turkey, and from reading his profile, I can only assume he would be more than pleased with how his house looks now. 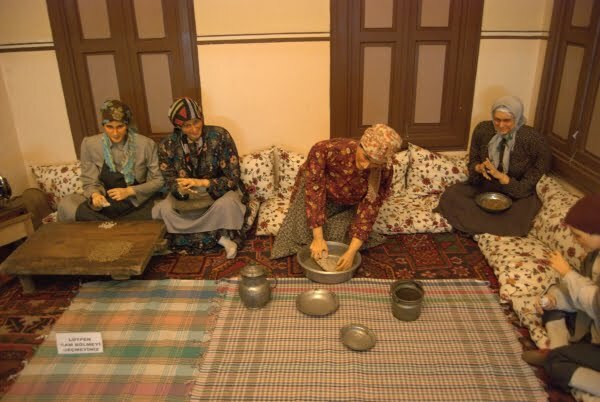 The tour takes you through all stages of food and cooking in a traditional Gaziantep household, from the kitchens to the table to special occasions. 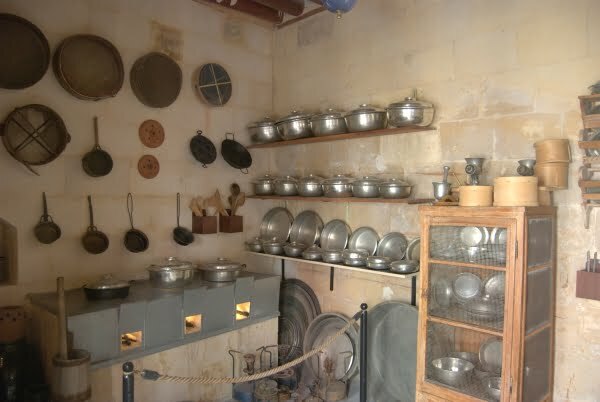 From traditional methods and local delicacies to utensils used. Also highlighted are preserving and storage methods and etiquette on how to entertain guests and organize a family picnic (sahre) properly. They promote Gaziantep cuisine as the best in Turkey because of the cultural richness of the Mesopotamian region. Having taken inspiration from Arab, Hittites and Assyrian cuisines, a Gaziantep diet is considered as healthy as any Mediterranean alternative. Like a true Turk, yogurt accompanies many meals in Gaziantep and eggplant is a vital ingredient. They also highlight techniques such as Hevenk, a method of preserving fruits and the use of chickpeas to make teething soothers for babies. 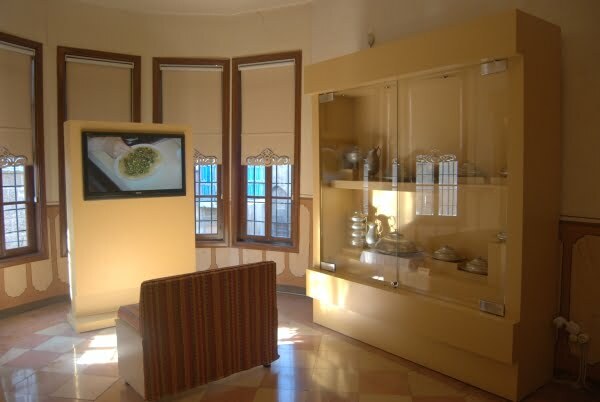 Lastly, a room is dedicated to the donator of the house, the Gögüs family but my favourite part was the video display. It was like watching an episode of Master Chef. Isn’t it amazing how in some cultures, cooking delicious, many times complicated dishes comes so easily? It’s like brushing your teeth or tying your shoes – you’re in the kitchen from birth, as you say. I’m a salad aficionado like you and envy places like Turkey and Nepal where everyone learns to cook from the time they’re very young.